Toddler travel hacks in a car. Here are key tips to keep your toddler traveling with the essentials to make toddlers happy and content when traveling in a car. Traveling with toddler hacks. 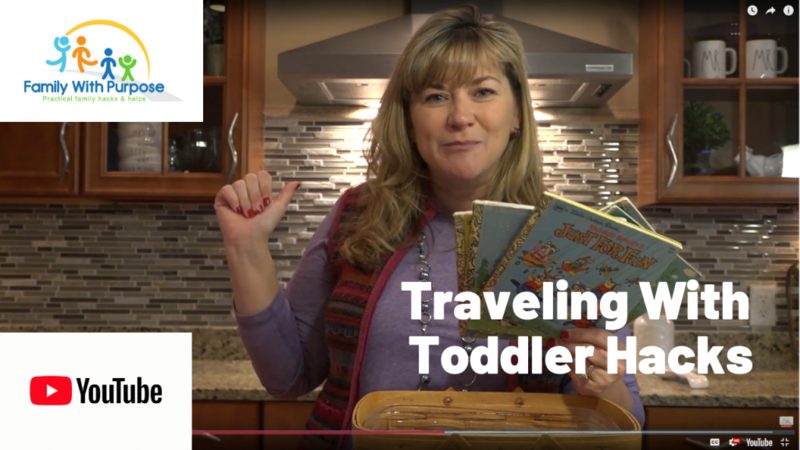 In this video Tammy from family with purpose discusses some great and simple hacks for keeping your toddler busy and happy on your car travels. There is one key you must remember for it to work. It’s simple to travel with kids, but without this simple hack, your traveling days with toddlers may continue to be frustrating. Enjoy the video and let us know what you think.